During the fall of 2018, I had the privilege of visiting Champagne France for my first (which will certainly be of many) visits. 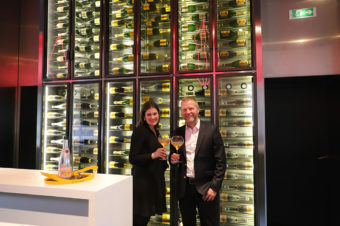 During this trip I had the pleasure of visiting Veuve Clicquot’s historic Hotel du Marc residence and was hosted by Winemaker Bertrand Varoquier. Read about that incredible tasting with Bertrand and Veuve Clicquot on the blog here. 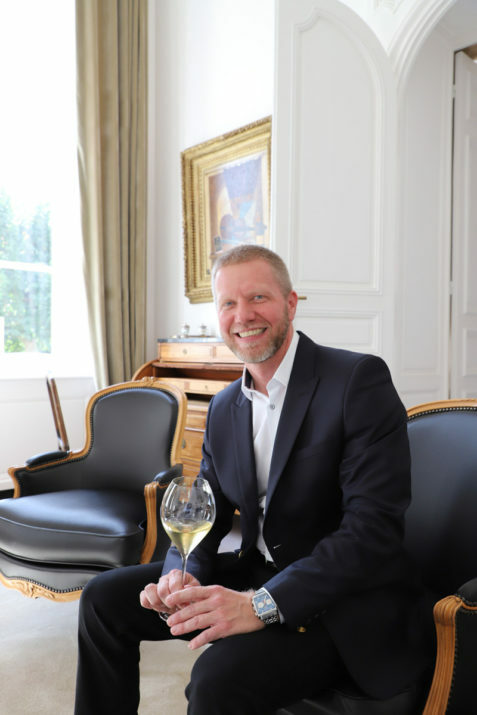 After spending a lovely afternoon eating and enjoying Veuve Clicquot Wines with Bertrand I asked to interview him to learn more about his amazing background and what led to his role at Veuve Clicquot. He graciously agreed to the interview. 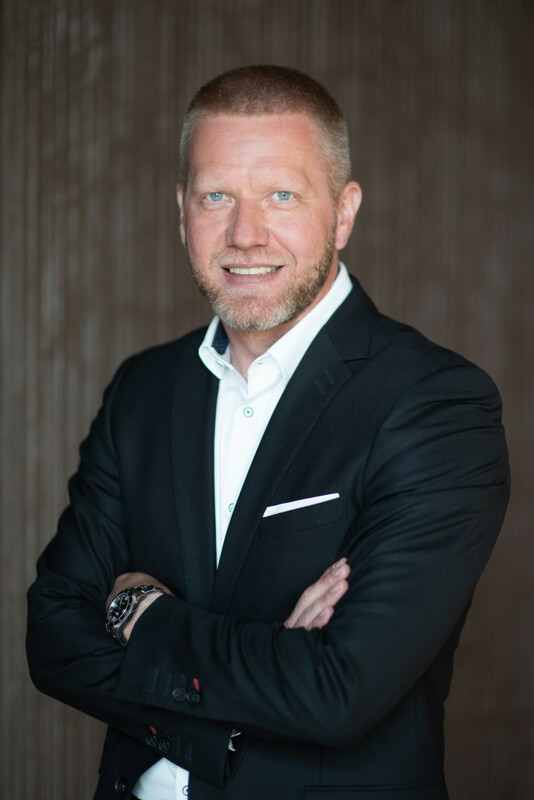 Read more about my interview with Bertrand Varoquier below! As someone who grew up in Reims (Champagne) you must have many first memories of both still and sparkling wine. Was there a moment that you remember when you knew that you wanted to be a winemaker? Since I was a child, I have always wanted to work in life domain. I discovered the wine world when I was teenager meeting people who taught me how to recognize and appreciate the good things in life. I decided to learn how to create one of these good things I appreciate the most: Champagne. So, I decided to be a winemaker at this moment. Junior winemaker in Chablis at Domaine Laroche in 2002. How did you end up at Veuve Clicquot? Can you share more about your role as a Pinot Noir grape\winemaking specialist? I have been working for 15 years in Champagne, first as oenologist-consultant then as oenologist winemaker / cellar master for a family Maison of Champagne in the Montagne de Reims. After, I had the opportunity to integrate the oenologist’s team of Veuve Clicquot and participate to the elaboration of one the greatest Champagne’s of the region and also one of my favorite, I joined in 2012. I am a Champagne winemaking specialist and one of my different responsibilities at Veuve Clicquot is to manage the red wines vinification, in Bouzy, during the harvest. My role is to vinify the best red wines with Pinot Noir grapes specially selected for that. Those red wines are dedicated to create our different Rosé Cuvées. At Veuve Clicquot, we make Rosé Champagne by blending, this method was created by Mme Clicquot herself in 1818. As a winemaker you taste (and spit) lots of wine. What wine do you feel bad about spitting because you love it so much (besides a wine you make)? During the year, with my colleagues of the tasting committee, we organize comparative tastings of the best prestige cuvées from different competitors. It may happen that I really appreciate some of them and recognize the great work to elaborate them, but it’s clearly a technical tasting and I spit them. Can you share more about the tasting panel process and how a Veuve Clicquot vintage is made each year? The tasting committee (or tasting panel) is composed with 12 oenologists. After the vinification, we have to taste all the wines from the current harvest and all the reserve wines (wines from older years we keep in our winery). At Veuve Clicquot we have the largest collection of reserve wines in Champagne, the oldest one is a chardonnay Cramant 1988. We taste more than 1000 samples of wine, so these tastings last from November to March. Once it’s done, the Cellar Master (Dominique Demarville) elaborates the different Non-Vintage Cuvées of the Maison, the most famous is the Veuve Clicquot Yellow Label. He composes these cuvées according to the results of the panel’s tastings and, of course, his idea: he is the keeper of the style of Veuve Clicquot. In June, we have a second tasting session. We taste all the wines from our winery we have not used for the Non-Vintage Cuvées. Only after these tastings, the decision to create a Vintage is taken or not. Effectively, it’s only after several months of aging that we are able to feel if the wines of the year have the potential to become a Vintage or not. We don’t declare Vintage every year but only the best years, and specially the best years for the Pinot Noir (the grape variety which mainly composes our cuvées). What was one of the biggest mistakes you have made in your winemaking career? I clearly don’t want to seem pretentious or narcissistic but, so far, I haven’t made any winemaking mistakes. I don’t really think that I had any mentor in my career. I have learnt a lot and I continue to learn from all the different people I met and I meet all years long, every year. What is something you’d like to share about Champagne that many consumers may not know or have a misconception about? The world of Champagne is wide. It exists different styles of Champagne (Brut Non Vintage, Brut Vintage, Extra Brut, Demi-sec Non Vintage…) that you can enjoy at different moments or pair with a lot of different foods. Of course, the Champagne is the perfect choice for celebration, for aperitif (with Brut Non Vintage for example), but you can also easily appreciate Champagne during a meal (with Vintages for example), or even after meal (with old Vintages for example) and of course during parties all night long ! Also, something that people have to notice is that the Champagne is able to age for a long time, specially the Vintages. Even we recommend to drink the Champagne Non Vintage up to 3 years after the disgorgment, you can age the Vintages for 10, 15 years or even more, of course in perfect condition of storage in a good cellar. More and more, the connoisseurs appreciate matured and aged Champagne. To be honest, I don’t have a favorite one. It depends of the mood and the people whom you are with. An after work drink with your best friends is always a good time of sharing, and if I can share a great Champagne at this moment, it’s even better ! What is your favorite local spot in Reims? I like a lot of different spots in Reims, it’s difficult to choose one. One of them is a restaurant, “Brasserie Le Boulingrin”, located in the market area where I always enjoy the typical food of French Brasserie and share good time with authentic people. I don’t really know something surprising about me and I am not the ideal person to tell that. Eventually, something could seem surprising for people: Even if I was born in Champagne, if I grew up in Champagne, if I studied in Champagne, if I have been working in Champagne for 15 years… I don’t drink only Champagne !